Among the abundance of Internet of Things (IoT) devices on the market, smartwatches like the Apple Watch have become some of the most exciting and prevalent. Among the abundance of Internet of Things (IoT) devices on the market, smartwatches are among the most exciting and prevalent. Many smartwatches appear as behemoth creatures adorning your wrist. For those that don’t want a hood ornament strapped to their hand, the Huawei Watch emulates the elegant look of a “dumbwatch.” We all know that looks aren’t everything though, but the Huawei Watch’s specs are rather impressive, boasting high-end features such as a heart rate monitor, motion sensor, and a sapphire crystal display. It’s no secret that the fitness community has adopted wearables, and smartwatches are no exception. The Samsung Gear 2 is rugged, and caters to active types. Complete with IP67 certification, a slew of well-rounded specs, and the ability to stop a tank (ok, that hasn’t been confirmed), the Samsung Gear 2 is a steady contender to beat the Apple Watch, both in a specs war and a physical sparring match. Plus, it’s packed with features that make it a fantastic entertainment and work device, like the Google Play Music synchronization. You can even use this bad boy as a remote. Remember when flip phones were the craze, and Motorola debuted the Razr? Everyone rocked the sleek Razar, and the Moto 360 proves that Motorola is as dedicated as ever to offering stylish gadgets. The Moto mimics an actual watch, with a classic round design. There’s a pedometer, heart-rate monitor, and of course Android Wear. The Moto 360 also boasts a wireless charging cradle, and let’s be honest: none of us want to have our smartwatch tethered down by wires, even while juicing up. 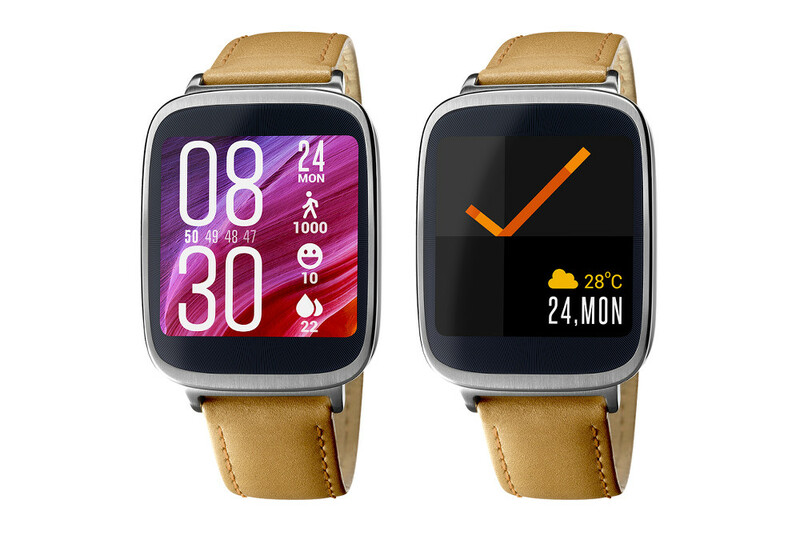 LG’s fashionable Urbane can easily be mistaken for a dumbwatch, a much-appreciated trend among smartwatch manufacturers. It sports the latest version of Android Wear, a quad-core processor for multi-tasking, and a hefty battery. This should suit users quite well, as you won’t be gaming or watching movies on your watch. Surprisingly, the Urbane is rated IP67, so feel free to play dirty. Yep, Asus (a name that everyone seems to pronounce differently) has jumped on the wearable wagon. Their ZenWatch has a bevy of neat features: it’s rugged, pretty, and uses Android Wear. While it may seem fashion-oriented, and definitely takes style cues from classy wrist-wear, the ZenWatch is quite the fitness companion. It’s IP55 rated, and comes with tools to measure burned calories, heart rate, and even workout intensity, no phone needed. Ditching the necessary phone is much-appreciated, particularly for exercise. Notably, Asus recently debuted the VivoWatch, which boasts a whopping 10 day battery life. Unfortunately, it’s not available in the United States yet, but hopefully the Vivo will make the trek. Know of a smartwatch we’ve overlooked? Love a particular inclusion? Let us know your thoughts below!